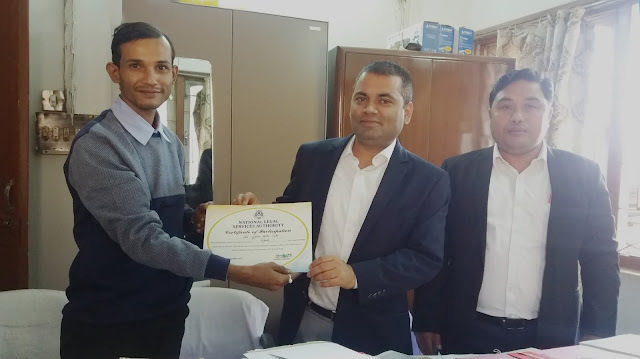 As on 15th December 2018, GK Dutta was awarded with Best Para Legal Volunteer of Tripura State Legal Services Authority for the year 2018 Awarded by National Legal Services Authority. Receiving the Certificate from Mr, Ashutosh Pandey, Member Secretary, and Mr. S. Debbarma, Dy. Secretary of Tripura State Legal Services Authority on 07th January 2019.